Disney fans, get ready to shop 'til you drop ... because the Pixie Perfect discount is back! Today and tomorrow only, you can save an extra 30% off just about everything at Shop Disney when you use the code BONUS30. The bonus 30% discount applies to select accessories, toys, clothes and homewares – but only for the next two days. One thing that you absolutely have to see is the Little Mermaid Sleeping Bag. It's kid-sized and perfect for taking to friends' houses. 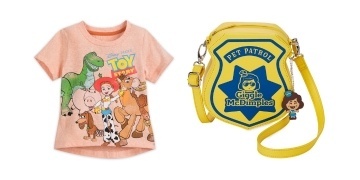 So if you're shopping for a Disney fan this Mother's Day or just want to pick up a thing or two for yourself, this is the time to shop. Just remember that everything is priced in USD and shipping costs to Canada can vary based on what items you order and how much you spend.